The Gabriel Experience - Gabriel & Co.
Gabriel & Co. understands the power of jewelry and its symbolic significance in our customers’ lives. We believe fine jewelry is the instigator of memories, marking milestones and serving as keepsakes of our ardors, enhancements of beauty and sources of legacy. 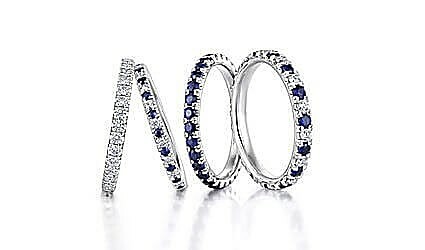 At Gabriel, we know that true beauty is a unique quality in all of us, and we aim to design jewelry that will elevate each person’s individuality, celebrate memorable occasions and generally, bring genuine joy into our customers’ lives. Being a family owned business, we truly believe that the love for our families is the driving force behind our success of crafting unique jewelry and personalizing experiences for our customers. 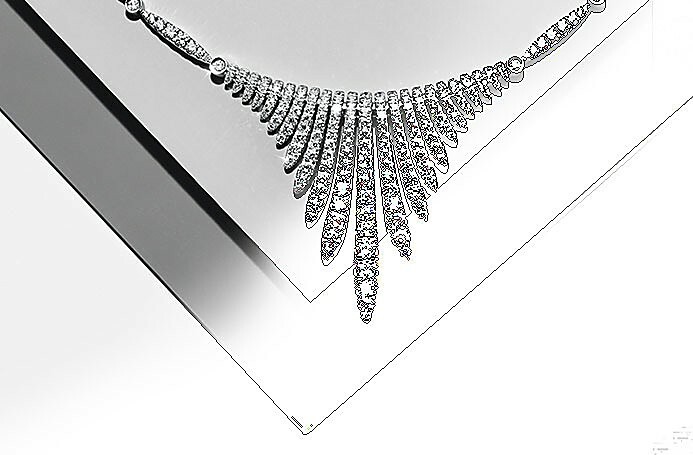 We know that true beauty is a unique quality in all of us, and we aim to design jewelry that will elevate each person’s individuality, celebrate memorable occasions and generally, bring genuine joy into our customers’ lives. Gabriel owns and operates our manufacturing facility to ensure superior quality with each Gabriel piece. Each piece is individually handcrafted with careful attention to detail and style by our artisan jewelry design team that collectively have over 150 years of fine jewelry experience. 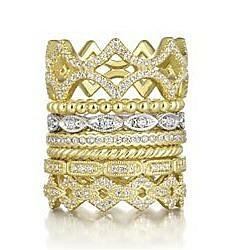 We use top grade metals and certified diamonds within every ring. 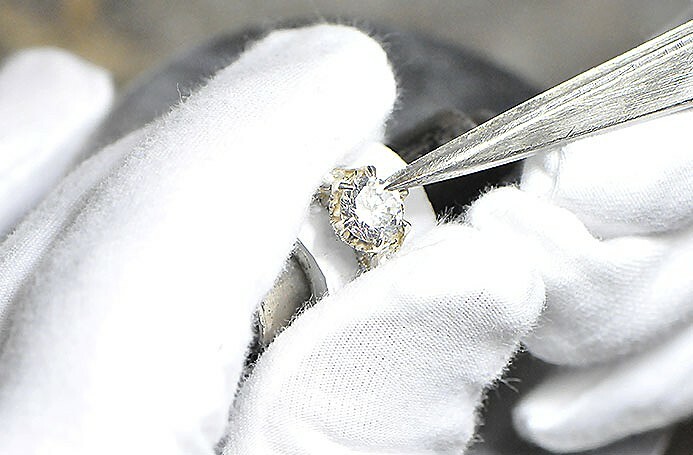 Our quality control standards upholds strict ethical procedures to ensure that each piece is thoroughly inspected prior to its arrival at the jeweler. The diamond selection process and sourcing guarantees superior quality, as each stone is thoroughly examined by our onsite expert gemologists. Gabriel & Co. upholds strict ethical standards, particularly those regarding diamond sourcing. Each diamond set and sold in one of our jewelry settings is in full compliance with the certification system of the Kimberley Process, as defined by the United Nations. 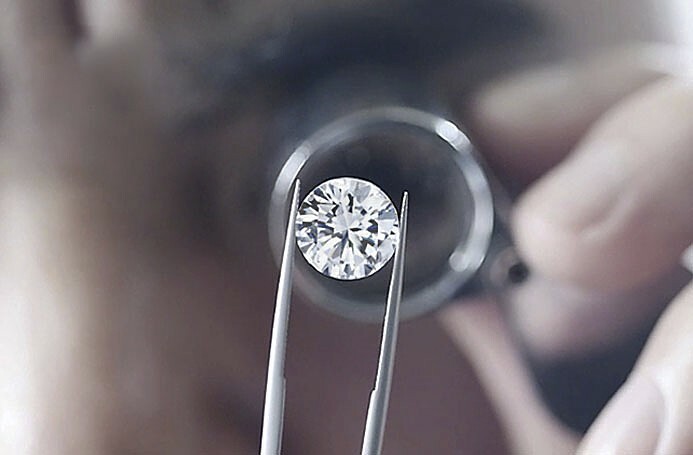 Under the guaranteed system instituted by this process, each partner provides a certificate that attests to the sourcing of diamonds from non-conflict countries. This ensures the credibility of diamond trade, eradicating the circulation of stones from countries in situations of armed conflict. We have established an inventory tracking system for every jewelry piece we have designed, produced and shipped to our retail partners as well as customers. Each piece includes a unique laser inscribed Gabriel serial number that is trackable once registered online and recorded as proof of purchase. The unique serial number engraved onto each new piece at the outset of its production is tracked through a 26-step process. With each serial number, we are capable identifying the designer who initially created the piece, the source of diamonds, gems and metals, CAD renderings, production, quality control, shipment to the retailer, and finally the customer who purchases and registers their jewelry online. Under Gabriel’s warranty, we are able to identify the manufacturer and owner of each piece ensuring security and global ownership in the event ­an accident or loss occurs.Read our “Lost Ring” story to find out how the Gabriel serial number helped one lucky couple get their engagement ring back after losing it in a parking lot. Our family of Gabriel Authorized Retailers are professional independent jewelers meet and uphold our core values of integrity and professionalism. Gabriel Authorized Retailers have made a commitment to offer impeccable service and expertise to customers interested in purchasing Gabriel fine jewelry. Each of our trusted partners are pillars of their communities who have provided unparalleled service to their customers. With over 800 doors nationwide, customers can be assured that any Gabriel registered piece can be serviced no matter where it was originally purchased. They are passionate about what they do - whether it's helping you choose an engagement ring, selecting a gift on the spot, or working with you to design and create your heart's desire. Looking for a retailer in your area? Use our Store Locator to find one near you! Gabriel offers an opportunity to exchange your engagement ring within one year of purchase for another of equal or higher value. Custom order rings are included. Should you wish to select a different ring than the one initially purchased, ensure that your engagement ring has been registered for Gabriel warranty. 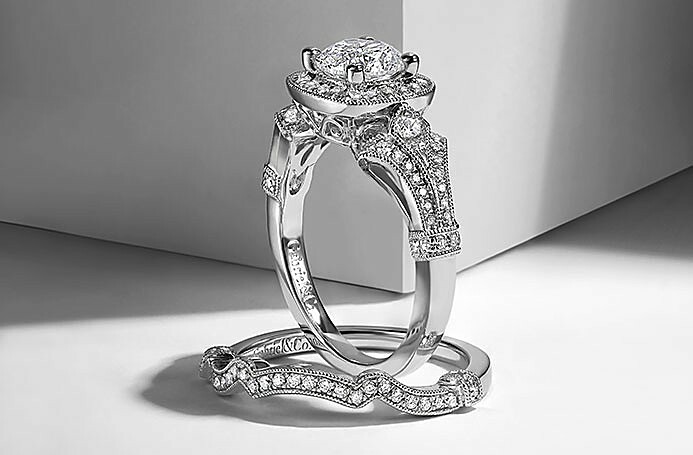 Once your ring has been registered, you may return your item to the original location to process an exchange with a Gabriel Authorized Retailer. Expert designers, craftsmen and production teams at Gabriel & Co. are adept at developing original concepts or combining a mix of styles from our fine jewelry collections. 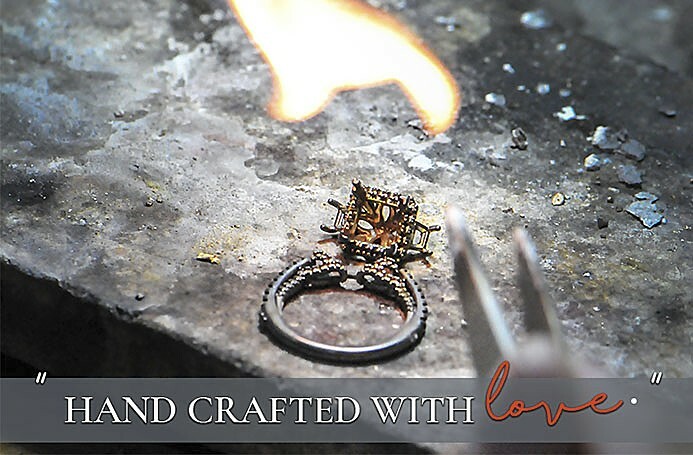 Working with our retailers, we are able to create beautifully unique works of art that you will always cherish whether you desire a simple fitting or a fully customized order on any of our fine jewelry pieces, engagement rings, as well as wedding and eternity bands. Whatever engagement ring your desire, Gabriel & Co. will create the one you want with any head, crown, style, stone or color combination. You may use our Create Your Engagement Ring widget that allows you to carefully select your preferred band, head, metal and carat size – send yourself a copy and bring it to your nearest retailer. Alternatively, you may upload an image as reference and fill out our Customer Order form.All customization orders can be made through Gabriel Authorized Retailers who will skillfully guide you through the process step-by-step. With Gabriel & Co., there are no limitations, just endless options and exemplary quality service. With warranty registration, your item will be covered under two warranties. By completing this one time registration, you are automatically enrolled for both warranties which are valid as long as your purchase is registered by itsunique Gabriel Serial Number within 30 days of your purchase. At Gabriel & Co. we take such pride in the quality and precision of our jewelry that we will make any necessary repairs, replacements or correct manufacturing defects with no additional costs. Our one year warranty protection covers damages and repair jewelry resulting from customers’ normal wear and tear or accidental damage. This is valid for one year from the original purchase date. Be sure to upload your original sales receipt and fill out the required fields with all the necessary information. Your submission serves as an official confirmation that you have read and fully understand Gabriel & Co.’s warranty terms and conditions. This warranty is underwritten by NYC Empire Insurance Inc.
Shopping for engagement rings is time-consuming and can be stressful. 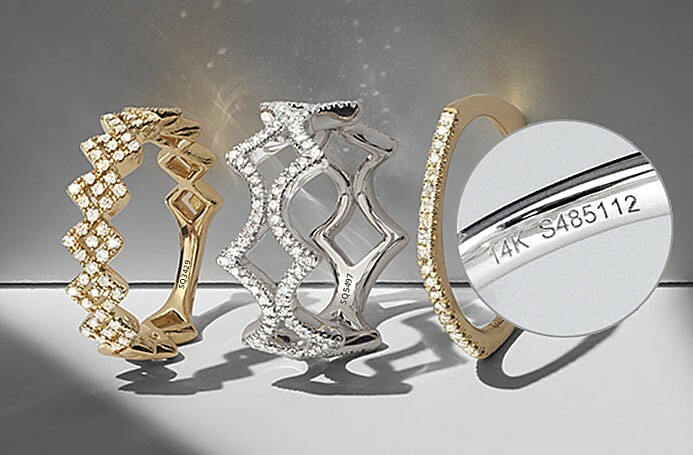 For a more seamless experience, we’ve established a free preview program giving customers a chance to experience the rings they want before making a commitment. Schedule a complimentary viewing of an alloy sample of a Gabriel engagement ring, wedding, and/or anniversary band at your local Gabriel Retailer. With zero obligations or fees, you can personalize your shopping experience with white glove service from our dedicated retailers and Concierge team. Fill Out A Form -- Submit a form with all the necessary information. Gabriel Concierge -- A Concierge Member will contact the consumer to confirm the viewing details. Visit Your Nearest Retailer -- Consumer visits the retailer on viewing day.